Tie-breaks will be played at 12-12 in the final set at Wimbledon from next year, the All England Lawn Tennis Club has announced. It comes after the final set of Kevin Anderson’s semi-final with John Isner this year lasted almost three hours. 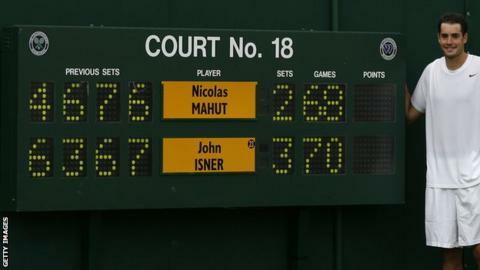 This year’s match between Anderson, 32, and Isner, 33, was the second longest in Wimbledon history. Isner was also involved in the longest match when the American beat France’s Nicolas Mahut 70-68 in the final set of their first-round match in 2010. 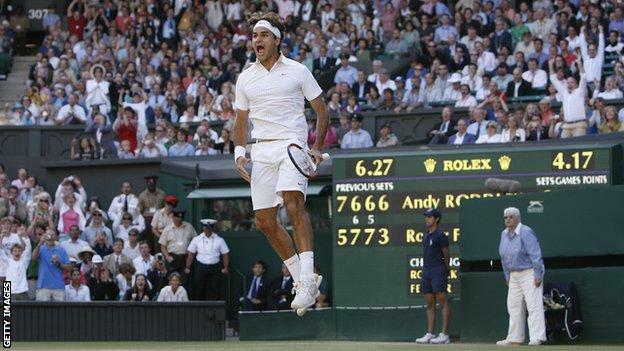 “There were mixed views but predominantly players favoured the final set tie-break,” he told BBC Radio 5 live. “They recognise that the quality of tennis goes down and players start playing not to lose in a long final set rather than the determination to win, and they recognise it affects the quality of matches in subsequent rounds. “I think players will play better because they know it will finish at 12-12 in a tie-break and they don’t have to save energy. Lewis added the AELTC did consider not applying the rule in finals matches but ultimately decided “there should be consistency right through the whole event”. Which marathon final sets would never have happened under the new rules? Fifteen singles matches – 14 men’s and one women’s – have gone past 12-12 in the final set at Wimbledon over the past 20 years. Next Story → No Halep, no Williams – who will win the WTA Finals?